Amber Kleitz, BFA Graphic Design 2018, defended her Senior Honors Thesis. 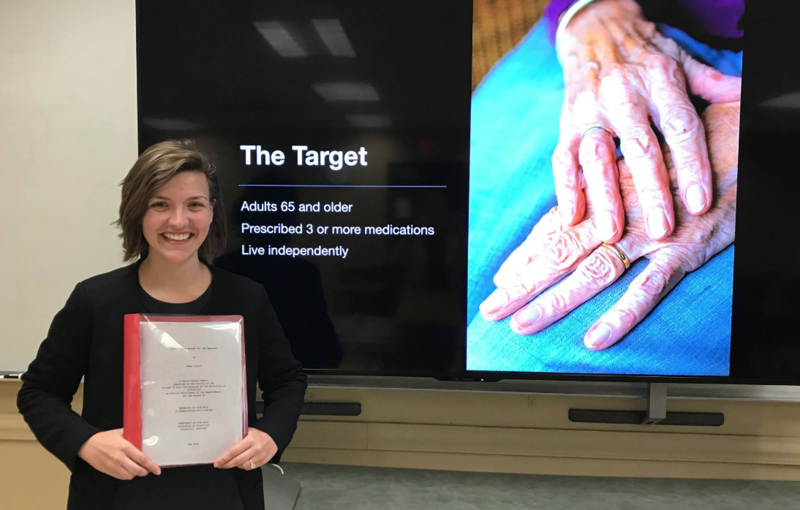 Her topic — Prescription Design for the Impaired — looks at current and potential designs to make managing prescription medications easier and safer for people living with visual, physical or cognitive impairment. She researched current options including visual design, physical design, and speculative design. March 2018.